I was born in Bad Aibling, Bavaria, near the Alps in the South of Germany. It is here, surrounded by stunning nature amidst the beautiful Alpine scenery, where Conservatives gained about two thirds of votes in past elections and in the first election of the European Parliament a right-wing party obtained 30% of votes. Running an election campaign in this region isn’t exactly easy. All the more I consider this an incentive to fight as hard as possible against right agitation, for the rights of minorities and for the right to asylum. And that’s why I’m running for the Bundestag for the Bavarian young Greens and the Greens of Bavaria in the constituency of Rosenheim. Our public events don’t usually stand out for their high attendance rates, especially when compared to bigger parties (CDU and SPD) which is sadly particularly true in the countryside. However, there’s often an opportunity to engage in detailed discussions and thereby gaining insight into people’s opinions of the Green Party and current political issues. One of the most challenging experiences I made during the last months is that every so little step is publicly observed. 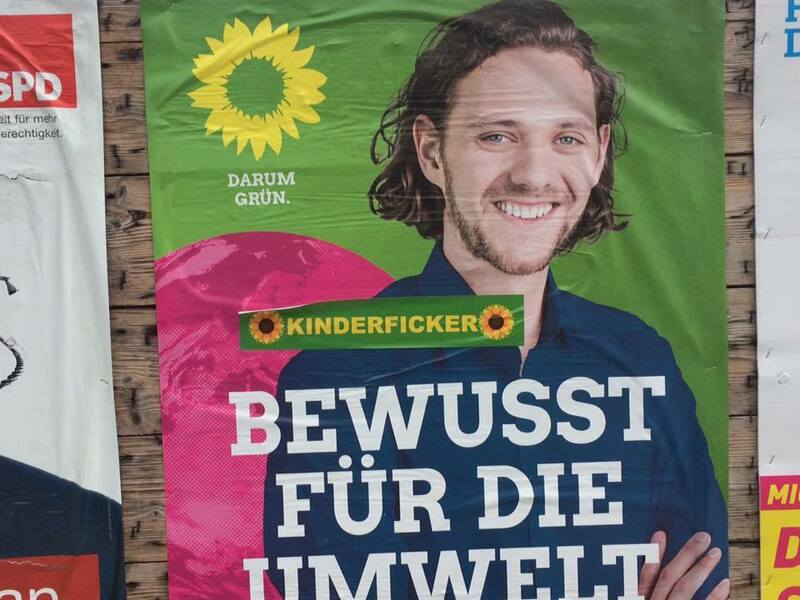 I’ve already worked on other election campaigns as spokesperson of the Green Youth Bavaria, but we usually worked as a team. As candidate, I am mostly on my own, having to come up with ideas which have to be approved of by local party members. But in comparison to deciding topics in a group, there is a lot of pressure and responsibility on me. Every day there is a huge pile of emails waiting to be answered, I spent countless days handing leaflets to people in the streets, and numerous discussion events that need preparation and thought. To put yourself out there is sometimes strenuous and exhausting, especially when you spent the whole day talking people into voting for you. Apart from this, as many helping hands are needed to organise events, canvassing and so on, one of the major responsibilities for me is to constantly motivate the crew and keep up the good spirit! At the same time, talking to people on the streets can be very rewarding and satisfying. Some weeks ago, I met an older man who was so surprised and impressed by my candidacy that he promised to vote for me. On other days people would insult us and curse loudly on the street. Two things I often get to hear are, that the greens only show up with problems and that we’d spread fear about the future of this planet. The other thing people shout at me is ‘kinderficker’, in English paedophilic. I think this is the spirit we have to deal with when there are right-wing and populist parties like the AfD running a campaign consisting of lies and hate. Admittedly, I do not have a realistic chance to win the mandate, so why do I still run? To me, it’s the ideas and concepts of the Greens that I want to be spread in times of rising right-wing agendas and discourses. At this moment, days before the election, Merkel is already treated as next chancellor and there is massive speculation on which party she’s to form a coalition with. Set against this background it’s important which party will come in third place, even more so, when there’s a chance that a right-wing, ultra-conservative party might gain enough votes for precisely this third place. So, we fight to avert this. Another consequence of the political situation is that no one talks about Europe. The next German chancellor will have great influence on European issues but Europe and the EU are notoriously neglected throughout this election campaign. As a constituency close to the Austrian border, it is important that border controls are immediately halted. By train I need exactly the same amount of hours to Budapest and to Berlin. I am a European, not only a Bavarian or a German. And if we are to have Merkel as chancellor yet again, our European values will be in great danger. The fight for freedom of movement in Europe will continue to be tough. But if we keep fighting, I am sure we’ll make Europe a better place!